After spending a few years in Rome, Augusto De Luca returned to his native Naples having no idea what street art was like. Having become a professional photographer in the mid-1970s, De Luca has captured the images of several celebrities throughout his career, such as Renato Carosone, Carla Fracci, Hermann Nitsch, Lina Wertmuller and Francesco Rosi. De Luca's photographs appear in numerous public and private collections including the International Polaroid Collection and the National Library in Paris. However, street art was always an unknown world for him. "I realised that on the walls of the city there were many colourful drawings on paper that reminded me of the works of Keith Haring, Ronnie Cutrone and Kenny Scharf," said De Luca, "I was immediately struck by it. I still didn't know anything about street art. I didn't know that it was a specific artistic current". De Luca began to collect the drawings to preserve them from wear and tear. Much of the art he tried to remove had been affixed to the wall for years. "My wife Nataliya and I got into the habit of 'hunting' around the city with a ladder. I also restored much of the art and often repainted the missing or damaged parts with the same paint," said De Luca. 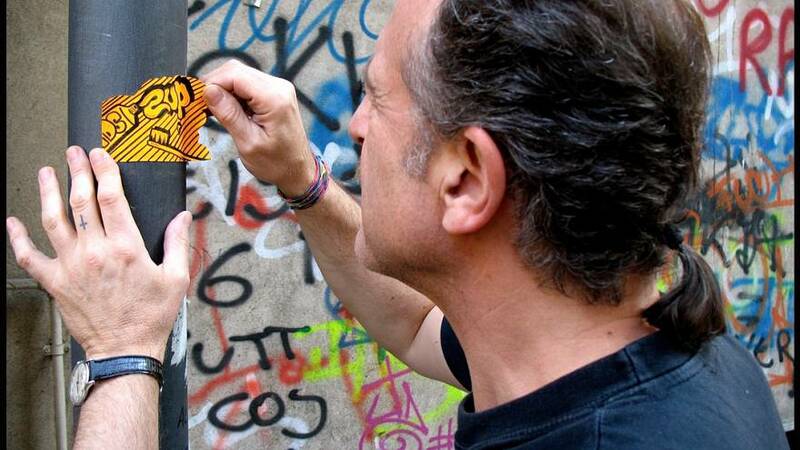 He collected a good number of pieces as evidence of a precise historical period of Italian street art. 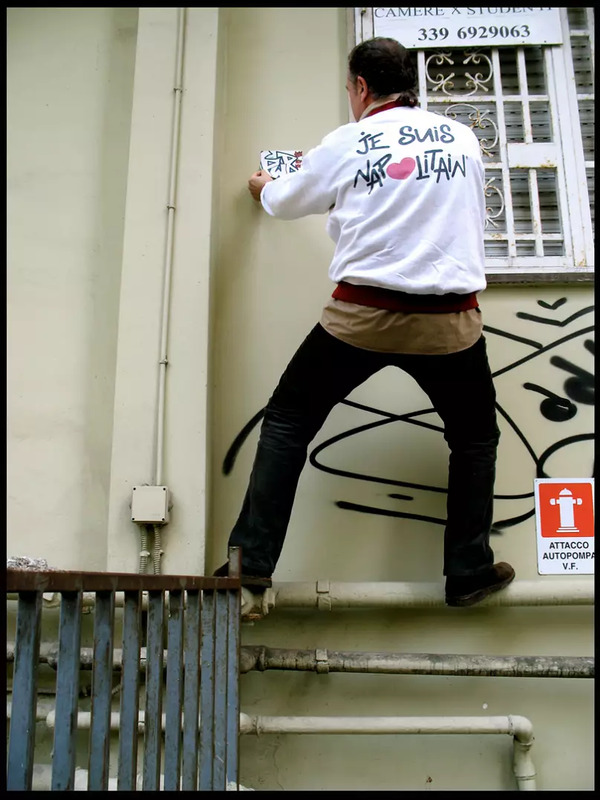 De Luca became notorious among street artists after a story published by 'Il Mattino' newspaper titled 'The Graffiti Hunter'. 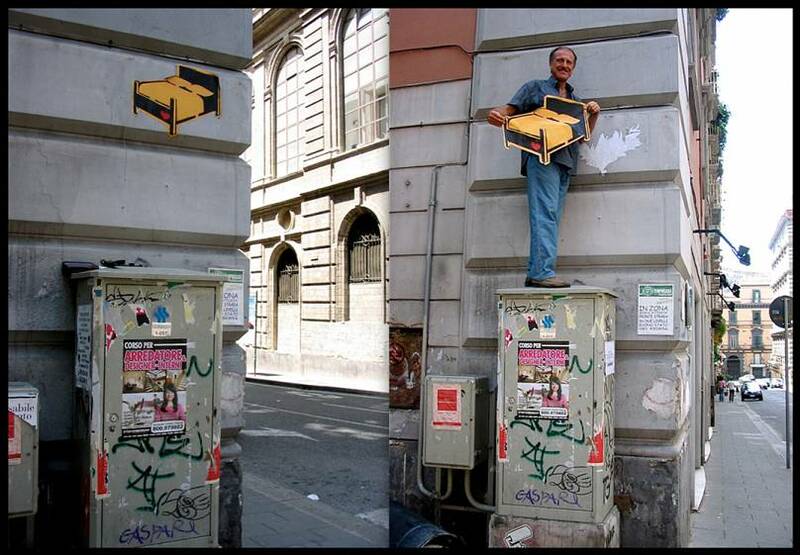 Initially, many street artists were angry at him, and accused him of stealing their works. "That was never my intention. When I realised that I had accumulated a lot of material, I had the idea of publishing everything on the internet," said De Luca. his idea was to bring street art into everyone's home to try and intrigue people. The initiative was successful and, with the growing interest in De Luca's web pages, the attitude of other artists towards him has also changed. "Those who were against me at the beginning, now are on my side," said De Luca, "there are many writers and street artists who say 'Go on like this, at least we have someone who speaks up for us'." The 'graffiti hunter' has now become the 'champion' of street artists. "People are curious when they see me detaching art from the walls. That's what I want." said De Luca. "Provocation in art is important. I have about 300-400 works at my home and I'm ready to give them for free to the first institution able to organise an exhibition in which they are valued as they deserve (to be)".